I’d never eaten couscous before this. When I saw that bigbasket.com had it, and didn’t cost my stomach, I thought I’d give it a go. I’ve been eating healthier of late anyway, and this would be a good addition in my pantry. I made a simple marinade for the fish and used the same for sauce. Turns out this is a really quick dinner – to prepare and to consume! 1. Marinate fish with vinegar, mustard sauce, paprika/chilli powder, garlic paste and salt. 2. Boil 400 ml water and pour it over the couscous in a bowl, and let it sit for 5 mins (follow instructions on the packet). 3. Head oil in a nonstick pan and place fish – cook for 3 – 4 mins on each side. 4. In the same pan, add the remaining marinade with a splash of water and mix well to make a sauce. 5. With a fork, fluff the couscous. 6. Add the coriander and lemon juice and mix well. 7. 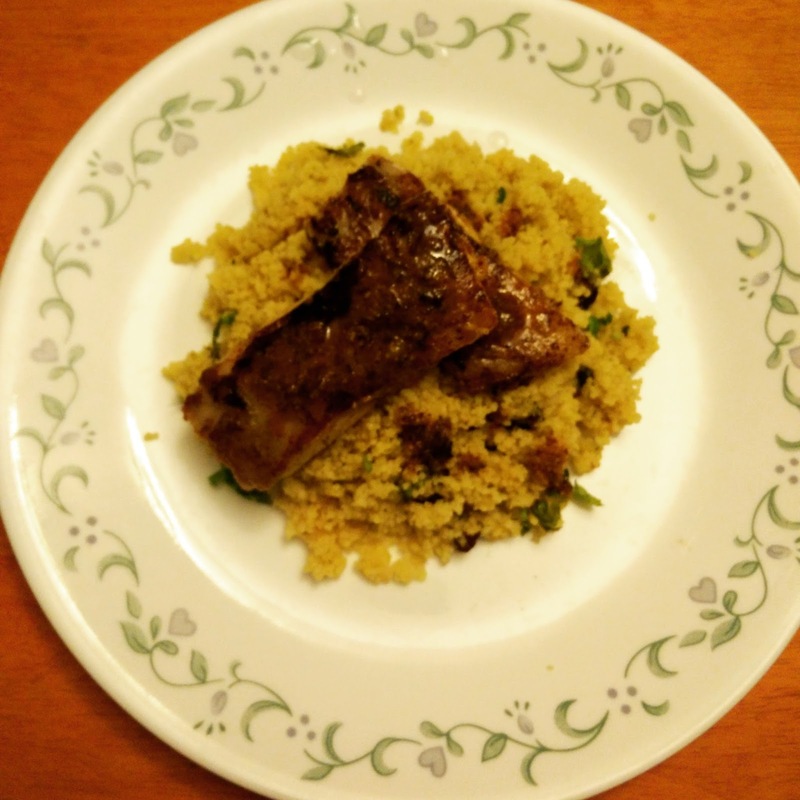 Serve fish with couscous.